I made excuses about it the last time I wrote an article and Im going to do it again. Yes I know the original plan was to do this monthly, but the hardware market has been pretty stagnant of late now that all the major releases are more or less out of the way. That said I thought that now would be a good time as we now have Nvidia’s answer to the midrange graphics card question and also Christmas is fast approaching which is often a good time to be buying a PC. 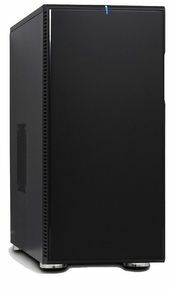 Ive long been a fan of Antec cases as they are generally very well thought out and nice to build with. 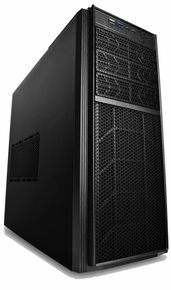 The Antec One has been targeted at the lower end of the market but it still comes with Antec’s usual attention to detail. Functional, with lots of space of cooling and expansion but with the addition of ‘nice to haves’ like front facing USB3 ports and even pre-drilled for water cooling. Slightly less powerful than previously but you really dont need all that power. In truth a 350W would manage but its always good to have a little headroom for any upgrades you might consider later, 80% efficiency, which at this price is excellent and should give you a nice stable platform. 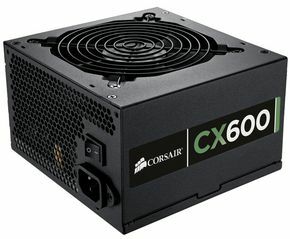 Spending less on a PSU is usually false economy especially in a machine you plan on using for games. Unless you are planning on overclocking there really is no point in spending money on the higher spec K series chips and on the whole for gaming its best to put the money into graphics power. 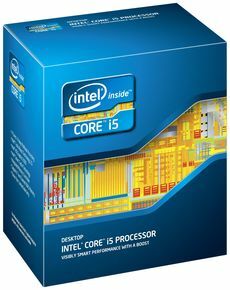 This i5 sports intels turbo boost and has more than enough power for games as well as a number of revisions that Ivybridge brings over the previous series. Admittedly there isnt a great difference in performance between the Ivybridge and Sandybridge, but the price is largely the same too so you may as well get the new one. The reason for the top end CPU rather than lower down the pecking order is again to do with negligible price difference but more about this being a good time to buy a PC so invest in quality. 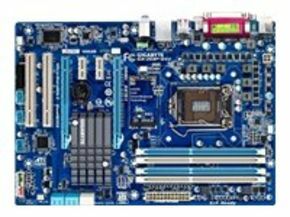 The board remains the same, I previously switched from the older 6 series intel boards to one of their new 7 series boards which support native Ivybridge, USB3 and PCI-E3 support as well as the various enhancements that Intel have made to caching, SSD support and other benefits. The limitation of the board selected here is that it only has a single high speed PCI-E socket and therefore will be more suited to a single GPU setup. 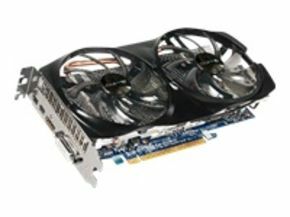 An extra £10 will get you a Z77 board with this support but given the power of single card GPUs you really dont need to go to this length. RAM is very cheap at the moment and prices seem to be holding although I woundnt count on that forever. Lifetime warranty and good service from Crucial when you need it. I would also say that we are now getting to the point that its worth having a minimum of 8GB RAM for gaming comfort and at this price I would even be tempted to double that to 16GB if you can stretch the budget. Nvidia have finally shown their hand after months of AMD owning the midrange GPU market with their 7850s and 7870s which have been my primary recommendation. I think its fair to say that the 660 wasnt quite the card people were expecting especially after the success of the 560 but its still a very good performer. 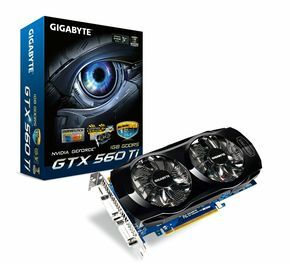 Is it massively better than the 7850/7870? Not really and ultimately your choice here should be governed by price. At the time of writing this 660 was only a few pounds more expensive that the Gigabyte, giving me the slight advantage of PhysX through Nvidias drivers. If AMD were to do another round of deals or special offers which they have of late then this recommendation could easily be a 7850 or 7870. My advice? Shop around and get the best deal. Hard disks are still pretty expensive but prices are falling quickly from their peak. I have finally been able to recommend a 1TB storage as well as SATA III which will perform better than the budget drives I have been previously recommending although this has raised the price a little. We are finally back to being able to put in good performing platter based drives without remortgaging the house, but hopefully the prices will continue to drop. With the exception of Sony which I would tend to avoid due to their tendency not to support all disk types, all optical drives are the same so buy the cheapest. No real point getting Blu-Ray yet unless you are planning on using the PC as a media centre. 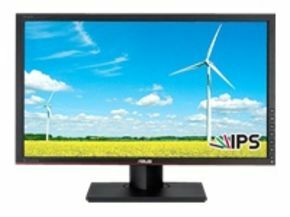 LG, AOC and Asus may have started the trend of lost cost IPS screens, but there are now a number on the market. As with the other panels these are getting favourable reviews consistently getting better with every model released. On that basis its hard to argue in favour of the older TN panels any more unless you are interested in 3D. IPS options in this price bracket are becoming more and more common, with the AOC i2353Fh and the Ilyama Prolite X2377HDS, its worth shopping around although this is by far the cheapest Ive seen so far. Clearly modelled after other successful gaming mice, Gigabyte have pulled together a very attractive combination of functionality, performance and price. Its very hard to justify more expensive options with this on the table. I previously removed this from my recommendation as it was rumoured that Microsoft were closing the brand however they have been consistently available and the price gets better and better. 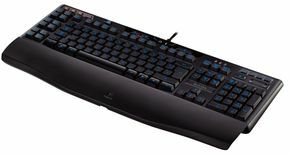 Back lit, anti ghosting and macro keys make it hard to beat at the price, what more do you need? 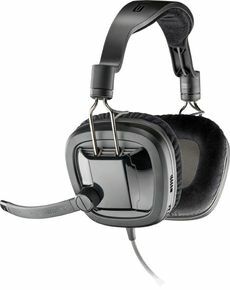 Plantronics have recently updated their Gamecom range and this 380 replaces the outgoing 367. As before the 380 has high quality sound, comfortable for long play sessions with a reasonable mic attached as well as a much improved build quality around both its cabling and headband. Not something you typically see in headsets of this price. A whopping £50 cheaper than my last recommendation! 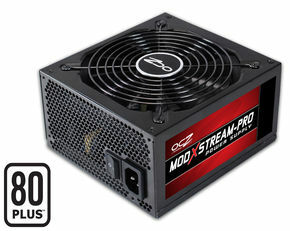 As before, Ill be shortly following this article up with an update to the Overclocker’s system previously recommended. PC Gaming Hardware – What PC to Buy Guide (July) cont. Once again I know this hasnt been as regular as before however the reason this time is slightly different. I had a bit of a think about what I wanted to offer from this system which has slightly changed the way I have gone about selecting the parts. I have come to the conclusion that I want to present two systems with parts selected at different ends of the market. That way for those that want an easy choice, you just select one of them, and for those that want to customise you have more options in each category to focus on. This months machine has taken into account some of those changes so you will see a lot less cross-over between the two systems. Peripherals for example will now be higher end than the entry level system and you can decide how much you want to spend. Ive long been a fan of CoolerMasters cases who across their whole range typically create options nice to work with. The Silencio is no exception, another sleek looking case with heavy duty sound proofing and all the connectivity options including USB3 that you would expect. 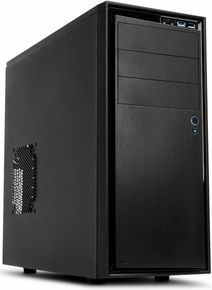 A close second is the Fractal Design R3, both often go on sale, pick the cheaper of the two. Plenty of power headroom for upgrades and overclocking, 80% efficiency which should give you a nice stable platform, and a modular cabling system to manage airflow. Its pricey but when you are playing with voltages, a PSU you can trust is critical. As before, I haven’t choosen the i7K due to the similarities in performance, if you are planning on doing lots of video encoding then get the i7 otherwise save your money, the i5 is rock solid. As with the other recommendations, Ive switched to the top end of the Ivybridge range with the K series for overclocking. A bit of an oversight on my part that I have never recommended one of these before however they can make a significant difference in stabilising your CPU’s overclock. The freezer pro may not be as fancy as some of the other options on the market but its capability is often comparable to options three times its cost. 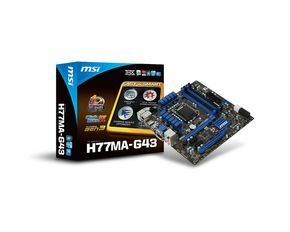 As with the entry level system, I have switched from the older 6 series intel boards to one of their new 7 series boards which support native Ivybridge, USB3 and PCI-E3 support as well as the various enhancements that Intel have made to caching, SSD support and other benefits. . MSI have long been an excellent choice for both price as well as the support they offer on their boards for overclocking. 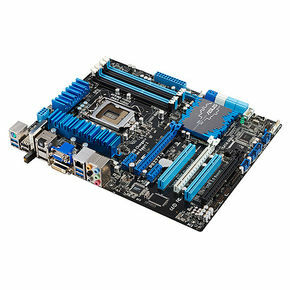 Through the combination of build quality and strong OC software suites / BIOS support this board is difficult to beat. 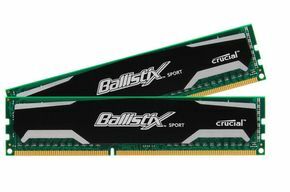 RAM is very cheap at the moment and prices seem to be holding, whether you are building a whole system or not a RAM upgrade should be on your radar. Lifetime warranty and good service from Corsair when you need it. Additionally on this set you have the benefit of decent heatspreaders to support overclocking and also quad channel support should you look to take this RAM with you into a future board that supports it (currently only the socket 2011 boards support quad channel). Normally here I would be recommending an SLI or Crossfire setup but with a lack of options in the mid range GPU market im favouring a single card solution in this system. 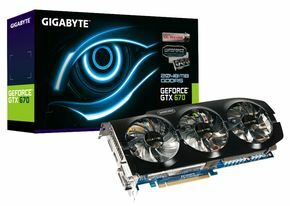 The GTX 670 is an incredibly capable card which makes it difficult to ignore in favour of say two 7850s in Crossfire. Single card solutions are more reliable performers than dual card setups and leave more options open such us tri-monitor setups (which do not work with dual cards) or alternatively, adding another 670 further down the line. SSD prices have been unaffected by the price hike on platter based harddisks and are currently going through quite a coup. I have switched from the Corsair Force 3 purely on the basis of price. When asked about SSDs these are the two I recommend, buy whichever is the cheaper of the two as performance is like for like. Given the high prices of platter based harddisks at the moment this isnt actually a terrible price. 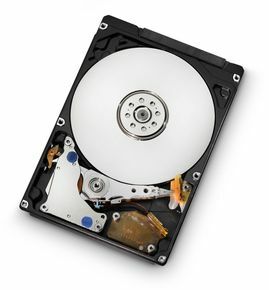 Decent cache and SATA III connectively should see it meet your storage needs happily, and the slightly lower spin speed and power consumption should keep the noise down. Prices however are still inflated and although falling its taking some time to get back to where they were. 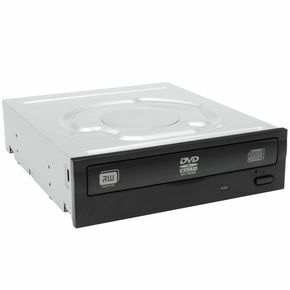 With the exception of Sony which I would tend to avoid, all optical drives are the same so buy the cheapest. 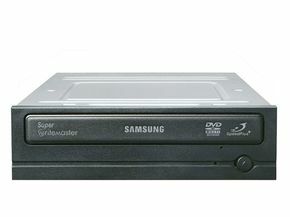 No real point getting Blu-Ray yet unless you are planning on using the PC as a media centre. A real game changer in terms of recommendation. 24″ 1080p panels are getting cheaper and cheaper but getting the next level up is also becoming more available. 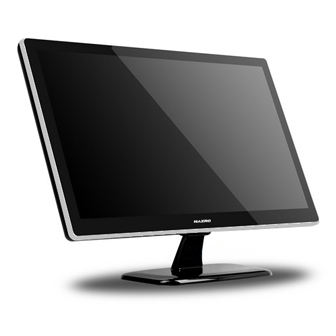 The Hazro is a 27″ monitor which is big indeed but the real difference is its 2560×1440 resolution which gives you significantly more desktop space and vastly improved definition over the now standard 1920×1080. Additionally the Hazro is built from the same components that the £1000+ highend Apple and Dell screens are made from so at this price they are incredibly tempting. 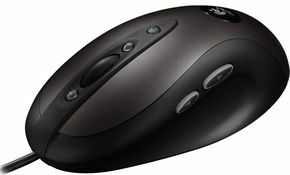 The remake of the MX518 which is commonly regarded as one of the best gaming mice produced. The quality and the value of this mouse are second to none. You can pay more for more buttons and weights and laser accuracy but these are usually just gimmicks. Looking at the price might make you wince a little but I did say this was going to aim at the higher end of the peripheral market. In my mind there are two functions worth paying for in a keyboard. Forget macro keys, usb hubs, volume sliders etc, mechanical actuations will significantly improve the typing experience and more importantly will last forever. Additionally back lit keys are a god sent to anyone who ‘games’, like myself, predominantly in the evening hours. If £90 really is too much then cheaper non backlit alternatives can be found around the £60 mark. Corsair have launched their new Vengeance range and as has become typical of them, they are hitting a very high quality indeed. Its obvious that every element of the design has been carefully thought through from the quality of the sound, the microphone and the comfort and build quality. As this headset is connected via USB I have opted to remove the sound card and rather rely on the drivers included with the headset. If you are also planning on having speakers connected then I would add the soundcard back in. I know, I know, I missed a month, its been busy ok? Anyway I’m back again and on the whole not a great deal has changed. 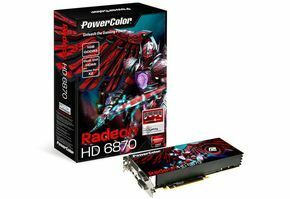 AMD have promised some price changes to their upper level 7870 and 7900 series cards but not enough to really dislodge the 7850 as the midrange of choice. Thats unlikely to happen until later in August which is when Nvidia are rumoured to be releasing the GTX 660 Ti. The Tempest is a revision of the NZXT Source I have previously recommended and is currently slightly cheaper. That said cases seem to have a slight price hike at the moment. As before you are getting rear and ceiling fans included, internal cable management, screwless design as well as a USB3 compatible front socket. From a personal perspective, I think its a nice looking case to boot. Slightly less powerful than previously but you really dont need all that power. In truth a 350W would manage but its always good to have a little headroom any most upgrades you might consider later, 80% efficiency, which at this price is excellent and should give you a nice stable platform. 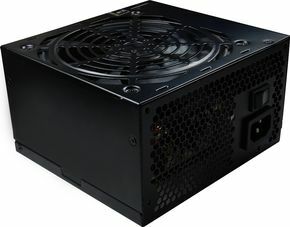 Spending less on a PSU is usually false economy especially in a machine you plan on using for games. 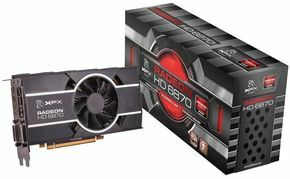 Since the release of the Nvidia 680 and 670 and the upcoming 660, AMD have been reviewing the prices of their current market cards which has seen price reductions across the board. Right this second, the 7850 has no competition for the midrange bracket and this is an excellent price for a card that’s only a few of months old! AMDs latest architecture and 2GB of memory put it clearly above the Nvidia 560Ti 448 core in my mind although the 660 is due in August I would expect initial prices to be around £250 on release. We’ll have to wait for the benchmarks to see if they justify that tag. LG, AOC and Asus may have started the trend of lost cost IPS screens, but there are now a number on the market including this offering from Ilyama. As with the other panels these are getting favourable reviews consistantly getting better with every model released. On that basis its hard to argue in favour of the older TN panels any more unless you are interested in 3D. 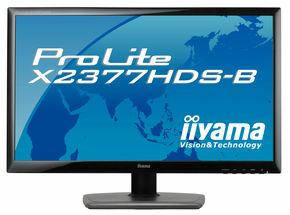 IPS options in this price bracket are becoming more and more common, with the AOC i2353Fh and the Ilyama Prolite X2377HDS, its worth shopping around although this is by far the cheapest Ive seen so far. 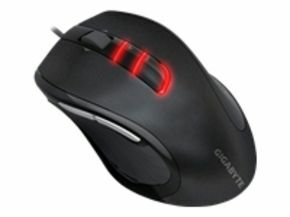 Clearly modelled after other successful gaming mice, Gigabyte have pulled together a very attactive combination of functionality, performance and price. Its very hard to justify more expensive options with this on the table. 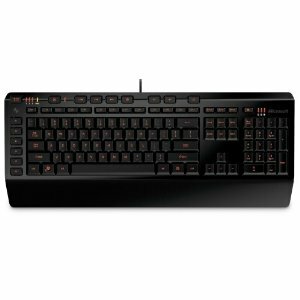 Back lit, anti ghosting and macro keys make it hard to beat at the price, what more do you need? Setting out early in the morning, the journey to the conference was exciting enough and thats before we even got into the Brighton Centre. I had traveled down with a couple of other members of YWBL4DA (Sassenach and Rifter) and on arriving successfully at the Brighton park & ride we went to take a look at the bus station to see when the next bus into town would be. On learning that it was over an hour away it was suggested we walk the two point something miles to the coast where the conference centre was. What we thought was going to be a casual strole down to the coast took us over perilously high mountain climbs and steep crevasses that clearly no sane person would normally walk especially when a bus is provided. Too far now to turn back we had no option but to press on. The bad turned to worse when roughly half way through the walk, the heavens opened and a downpoor of biblical proportions lashed at us for the remainder of the way added torrential streams that we had to forde as we decended the cliffs to the sea. Soaked to the bone and considerable blisters developing on my feet we finally made it to the front doors of the conference centre just as the sun came out from the clouds and the weather started to improve. Never mind that though we were heading in doors to get dried off. This was the first thing we went to see behind the secretive 18s only curtain, Borderlands 2 had quite a large setup with a good 10 or so machines set up to play. Sass, Rifter and I were all able to sit down and get a game together although GearBox in their wisdom had set up the demo units with only Xbox controllers to play which was a little disappointing at a conference aimed at PC gamers. In terms of the experience, the level we got to play was the Hyperion Plaza level which has been shown in some of the released gameplay videos, the mission is to cut down handsome Jacks (The main bad guy) statues. This was later shown in a play through by Randy Pitchford which I will cover a little later on. The game felt very slick, the graphics seemed slighly nicer although familiar and the change in colour pallette, something Randy joked about, was very welcome. On the whole it offered the experience I wanted as a fan of the previous game, dont expect radical change but lots and lots of little improvements and UI feedback which make the game more fun. Things like having better feedback on which elements are doing damage to the target or which elements they are able to ‘resist’. The guns themselves being wholly more interesting with lots more visual effects to differentiate them. The skill trees being more involved offering entirely new methods and attacks rather than just stat boosts (although these are still available too). The enemies being more varied and demonstrating damage in different ways such as arms and legs being blown off robots or soldiers dropping heavy shields if you hit them in the right place. These all added positive nuances however it was still familiar enough to settle back into the same general flow of the previous game. On the whole a very positive demo, the game has lots more detail and feels more frantic than the previous. Nothing Ive seen has made me regret preodering, although concerns still remain regarding its PC optimisation despite Randys assurances on this front. On the subject of Randy, as I mentioned earlier we also attended his presentation and Borderlands demo. Ive already talked about the game experience and largely the same points were emphasised so im not going to cover that again. Randy, assisted by two colleagues did a live walkthrough of the same level that was available on the exhibition floor. He talked a lot about the areas that they had improved on as well as picking out a lot of the additions, mostly picked out above, throughout the demo. All in all it was a slick presentation although I would say more geared to the ‘whooping and shouting’ of an American fan base than the rather more reserved English audience he was confronted with. Interestingly, based on a show of hands survey that Randy opened with, pretty much everyone who attended the presentation was previously a borderlands player and I would estimate that there were a good 70-100 people in the room. In terms of the questions he answered, I highlighted the fact that one of the more fun experiences, namely the vault run in the Knoxx DLC required a hack and an exploit to be able to do repeatedly, and asked had they learnt from this? He confirmed that they were aware of the exploit and specifically hadnt ‘fixed’ it. Borderlands 2 plans for considerably more end game activity so that it can become a ‘hobby’ his word not mine. Essentially the delivery of rewarding, repeatable content is something that they are looking to provide. Experiences such as Crawmerax which were added in the previous game. Somebody else from the crowd threw a suckerpunch in the name of Duke Nukem which Randy deflected and then followed up with a question regarding the PC Love Letter (which details how Borderlands 2 is going to be optimised for PC). Randy was quite defensive at this, largely re-inforced what the letter said but didnt really offer any specifics. He said that they hadnt had time to put in all that stuff in Borderlands 1 but it will go in this time. Essentially they had previously prioritised the console release. My take, turning up to a PC show with Xbox pads is poor show really. Also the multiplayer setup menus and connectivity were a little ropey too. Appreciate this was a demo but its looking worryingly consoley at the moment. Hopefully this will improve prior to release. No SDK is planned and no ‘active’ support for modding. They anticipate that the community will provide the tools as they did before. He alluded to the fact that Gearbox developers had helped steer the community in the right direction on these tools which would suggest they weren’t necessarily against the hacked weapons / upgrades etc that occurred in the previous game. Someone also asked about whether any of the endgame material required multiplayer groups, specifically 4 players. Randy said it is something that they have considered but not for the initial release as they want the content to be balanced amongst both multiplayer and single player users. He said it was something they wanted to explore in future DLC where they could make it clear to the purchaser that it was aimed at multiplayer groups so as to avoid disappointment. Finally someone asked about multi device integration ie PS Vita or Smartphone. Randy asked what the asker thought the usecase was and they highlighted the inventory and skill tree which would be suitable for a touchscreen device. Randy said it was something they were aware of but havent initiated yet as they do not believe in leveraging technology for the sake of it. Not discounted but essentially seems unlikely. Overall I thought that Randy came across as a little defensive in his positioning and his question answering. An interesting stance for him to take and again gives me a niggly feeling about how well optimised this will be for PC. Time will tell I guess. As I said, on the whole the game looked and played very well. Also in the over 18s section it was obvious that Sega had provided a healthy budget for the show with massive billboards, queues into the game and two marines and an Alien stomping around the place. The game itself however was a little disappointing in truth. What they had on display was simply a TDM match on a single level between a group of 5 aliens and 5 marines. SEGA employees were playing as the aliens which meant that you could only play as the marines. On the upside they provided keyboard and mouse as well as Xbox controller (razer products I noticed). The YWBL4DA boys all gave a good account of themselves having positive K:D ratios (Sass achieved the highest) however our two other teammates being Xbox controller users were simply killed again and again and we ultimately lost to the SEGA Aliens. As for the experience it was pretty meh. It felt very similar to the TDM mode in the recently released AvP game which I think was a bit of a mistake for SEGA. For me this game will win or lose on its 4 player coop campaign mode which is the only real differentiator between this and other Aliens franchise games but sadly this wasnt available to see. I quizzed one of the SEGA guys to try and get a feel for whether it was going to be a scripted coridor shooter and he didnt do a great deal to dispel this view. I said I wanted Left 4 Dead with aliens but he tended more to the story and the scripted events and bosses. Admittedly the story looks strong as do some of the events discussed and it was slick on the PC, looked pretty etc, but Im still not expecting great things in terms of originality and longevity. An interesting one to attend as they didnt really have anything ‘new’ to show that you couldnt have played already. I think this was a case of broadening their userbase as well as giving Dean a platform for how he wants to take the project forward. Sass got to fly around in a chopper which he ultimately crashed into a tree. We joked about the possibility of other people finding the crash site and thinking they were going to get epic loot and actually just finding out some muppet crashed it. Im not going to go into impressions of the game, as most likely, you’ve played it, and if you havent, then you should. What I am going to say is that we had an opportunity to talk with Dean ‘Rocket’ Hall as well as another senior DayZ community member. It becomes clear very quickly that the growth and popularity of this game has far exceeded their expectation with Dean claiming that they have now attracted just under half a million players. I think its fair to say that the pressure of maintaining the momentum of the project as well as staying in touch with the community is taking its toll. For my part, I think that Bohemia would do well to get their PR team onto this sooner rather than later. They need to support Dean in focusing on expanding his idea and distributing this to the ever growing fanbase, but also provide him with the experienced support to manage the community and organised events. Dean did a good job with the presentation and made lots of interesting points regarding the future directions he is looking to take, but this was slightly marred by a display area whos PCs were down during several parts of the day and limited promotional materials to hand out to interested attendees. Problems like these are easily fixable but not without people to help you. There is no doubt that DayZ is going to go on to be a success of some measure, but without this support, the question remains at what cost. Had a really interesting chat with the lead developer of this about how he feels about Firaxis and whether they have stolen their thunder. Was also able to talk to him about the kickstarter experience and what its meant to him. Essentially he thinks they are ultimately developing different games. Hes quite realistic about which is ultimately going to be more successful but thinks that the games will appeal to different or even both audiences. His take is that Xenonauts is a faithful revisit of the old game. Its not looking to change anything fundamentally but simply fix a lot of the issues that remained in the original as well as give it a new coat of paint. They are about to go into BETA and expect to finish the game this year. He believes that Firaxis are essentially taking the flavour of the old game but bringing in lots of modernisation to appeal to the current market. There will ultimately be similarities however its obvious that it is going to be quite a different experience to the original. Having spent some time talking to Firaxis and seeing their latest promo I can confirm he’s probably right. The question however still remains whether people will be willing to buy both. Regarding kickstarter of which he succcessfully recieved £150,000 in funding it was quite interesting to see how he coped with the change. He talked about the massive increase in communication that he had to manage and how as essentially a one man team it was quite hard keeping up with all the emails he received. He confirmed that the nature of kickstarter is that although this dies down a little you do have to maintain that level of communication which can be challenging when you are trying to work on development too. I have to say it was a very positive chat and although the Firaxis game looks to provide more of the experience im interested in, the talk with him on friday made me far more interested in his product. I had a very very brief play of it and its largely as you would expect. If you have played Xcom then you know what you see. The graphics were reminicent of the late 90s isometrics rather than the early 90s and the artwork was top quality. Game play felt intuitive although the alpha we were playing crashed due to a bug. Had a dedicated presentation room to themselves and ran several sessions during the course of the day. This was overkill in my view, they had a new gameplay video to show but that was largely it as they didnt go into a great deal of detail on the game. The video showed a staged setup of a terror mission that essentially enabled them to show off some of the entry level marine tech, some of the alien classes and the later stage technology you will research. I say staged as this was put together specifically for the purpose of the trailer and will not represent real gameplay. That said some of the elements it brough out were nice, it was good to see how the graphical engine and the replays are coming along, the interaction with the environment such as taking cover and ‘hunkering down’. They showed off the class system which basically enables you to start leveling up a character the longer they stay alive, rewarding them with stat increases but also perks along a class tree the more they get promoted. There wasnt anything on either the global view or the base view. Although Sid Meier was modelled as a Psy enabled sargeant which raised a chuckle from me as I watched. The presenter seemed to appreciate that at least one of us knew who he was. I asked the question about whether multiplayer was going to be included to which I was answered that ‘we are not allowed to talk about multiplayer’. I suspect that its on the cards but they are not sure how they are going to get it working yet. Other questions were largely about the vehicles (tanks), weapons, research and materials to which the answer was its all more or less the same as the old game. Outside of the demo I asked one of the guys about how base battles were going to work and hes said that they tried to get them functioning with the new view but its not going to happen. Ultimately the decision has been taken that in the old game when a base battle happened it was too OP in favour of the Aliens and ultimately too damaging. This has been removed for the initial release however they are not ruling it out for a future update. Overall the presentation shouted a lot, but didnt really have a great deal to shout about. Heavily restricted by PR I imagine, although what I did see looked good. Made me feel even more sorry for the poor Xenonauts guy. Im covering this off both as a game we played as well as a presentation. Both Sass and Rifter had played before so were familiar with the game. I on the other hand was coming in pretty cold, I was aware of the concept but not really in any great detail. Talking to the guys it was clear that the concept was interesting, essentially an asymetrical forces lineup of aliens vs marines FPS combat with a commander fulfilling an RTS role over the top of that, building base components and providing orders and direction to the FPS players. The game engine is lovely and all their own work, something ill come onto later. The concept is sound too and for the most part the implementation is slick. The parts where I think they have missed a trick are that the game relies heavily on the capability of the commander. They admit themselves that if your commander doesnt know what hes doing for the first 30-60 seconds of the game, its likely you will go on to lose that round. For me this is essentially going to limit the appeal as it seems that has a very steep learning curve. Coupled with that the commander is expected to manage the other players predominantly through voice comms. There are some on screen indications that he can provide but essentially he is looking to pursuade people to follow him by talking to them. For me this is the critical gap. Games like Bad Company and Left 4 Dead provide indication of what is required from the player by on screen prompts. Heal this, remair that, go here, defend this etc etc. My view is the commander should be able to do 80% of his work through this method, communicate with his players by giving them on screen indications to follow rather than through voice communication. If the remaining 20% makes him an excellent commander then great but a reasonable commander should be able to ‘do the job’ simply through the interface. Without this I think they are going to be putting a lot of burden on a single player who is going to be subject to a great deal of vitriol should the team lose. Not a great way to get people to play your game. Presentationwise it has to be said that in my opinion this was one of the best. The guy presenting did come across as a little too PR’y at times but on the whole, knew his subject, was able to dip in and out of his presentation and a live game at will, and was generally able to enthuse the audience on the product which only a few seemed familiar with. The engine is entirely open source and they are fully commited to supporting modding. Infact they are actively relying on the community to improve certain components as they dont have the bredth to do it themselves. A sensible although brave approach in my view. Realistic considering their resources. The game is going to be deployed via steam and uses all their technologies including VAC. Expect to see it released there soon. They are actively targetting being an E-Sport and are looking to do all they can to make this happen. Based on what I saw it could be a very fun game to watch in this fashion, something that they are keen to highlight. They seem to get both that E-Sports need to offer the level of competition required but also the visual spectacle to support viewers. They are promoting their own events internally and are hoping to grow that. The dynamic of the RTS view and the FPS view could be very visually appealing but the speed of the game could make it difficult to commentate on. Worth checking out though in my mind. I came away knowing it wasnt really my type of game but I would be quite interested to watch some co-ordinated matches. Literally got minutes with this before we were kicked out of the Conference Hall. It was still pre-alpha but looked very very slick. Chris Delay of Introversion had been around but we missed him so did get a chance for a chat. There was a bunch of other games we checked out including Shootmania which looked slick and clearly targetting the e-sports arena. Basically an alternative to Unreal Tournament in the brief view I had of it. Didnt spend any time with Secret World or TERA although they were both there. There was another space shooting game in the mould of Freespace and Freelancer both of which the developer cited as heavy influences. I cant remember its name. We came away with a bunchload of free stuff including codes for Ghost Recon Online, discounts on Borderlands and Serious Sam 3, various T-Shirts and other bits and pieces. I also played Battlefield 3 again and still dont think Im missing anything. Sorry EA no Origin for me. Ill admit that I have once again pushed the budget to its max for this months PC however the reasoning behind this is that this is genuinely an excellent time to buy a gaming PC. Intel, Nvidia and AMD have now largely released all of their major releases and a sensible purchase now will last you a good long time without becoming obsolete. The system below will stand you well for years to come. My first expensive change in that I have both upgraded to one of Intels new Ivybridge CPUs and I have also gone for their top end i5. Unless you are planning on overclocking there really is no point in spending money on the higher spec K series chips and on the whole for gaming its best to put the money into graphics power. This i5 sports intels turbo boost and has more than enough power for games as well as a number of revisions that Ivybridge brings over the previous series. Admittedly there isnt a great difference in performance between the Ivybridge and Sandybridge, but the price is largely the same too so you may as well get the new one. The reason for the top end CPU rather than lower down the pecking order is again to do with negligible price difference but more about this being a good time to buy a PC so invest in quality. Last weeks big change remains the same, I have switched from the older 6 series intel boards to one of their new 7 series boards which support native Ivybridge, USB3 and PCI-E3 support as well as the various enhancements that Intel have made to caching, SSD support and other benefits. The limitation of the board selected here is that it only has a single high speed PCI-E socket and therefore will be more suited to a single GPU setup. An extra £10 will get you a Z77 board with this support but given the power of single card GPUs you really dont need to go to this length. Since the release of the Nvidia 680 and 670, AMD have been reviewing the prices of their current market cards which has seen price reductions across the board. Its true the 6870 I have recommended is now even cheaper, but this is an excellent price for a card that’s only a couple of months old! AMDs latest architecture and 2GB of memory put it clearly above the Nvidia 560Ti 448 core in my mind and the 660 is likely delayed till the tail end of this year. LG, AOC and Asus may have started the trend of lost cost IPS screens, but there are now a number on the market including this offering from Ilyama. As with the other panels these are getting favourable reviews consistantly getting better with every model released. On that basis its hard to argue in favour of the older TN panels any more unless you are interested in 3D. IPS options in this price bracket are becoming more and more common, with the AOC i2353Fh and the LG IPS235V, its worth shopping around. 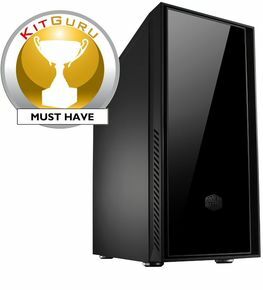 PC Gaming Hardware – What PC to Buy Guide (April) cont. Following on from April’s update to the entry level system, I have also made some big changes to the Overclocking system along similar lines with the motherboard and graphics card and Im really pleased with the results! There are a few other changes too, this is a really decent system, possibly one of the best that Ive put together to date. Yet another case to debut in my monthly recommendations. 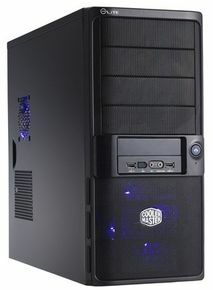 Ive long been a fan of CoolerMasters cases who across their whole range typically create options nice to work with. The Silencio is no exception, another sleek looking case with heavy duty sound proofing and all the connectivity options including USB3 that you would expect. 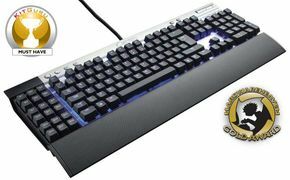 Couple that with the fact that CoolerMaster have reduced the price it just pipped the Fractal Design R3 in this months recommendation. Plenty of power headroom for upgrades and overclocking, 80% efficiency which should give you a nice stable platform, and a modular cabling system to manage airflow. Its pricey but when you are playing with voltages, a PSU you can trust is critical. 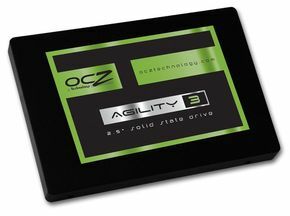 Once again a change this month to the OCZ purely based on price. As before, I haven’t choosen the i7K due to the similarities in performance, if you are planning on doing lots of video encoding then get the i7 otherwise save your money, the i5 is rock solid. More interestingly, despite Ivybridge coming out in the next few months, the current highend Sandybridge chips arent losing out on much in comparison to whats in the pipline. You could invest now and not regret it later. The price is now almost aligned with the older 2500K, you get the extra speed and headroom for just £1! As with the entry level system, I have switched from the older 6 series intel boards to one of their new 7 series boards which support native Ivybridge, USB3 and PCI-E3 support as well as the various enhancements that Intel have made to caching, SSD support and other benefits. . 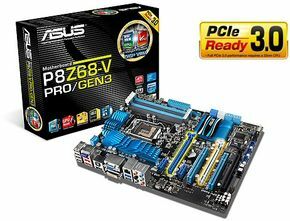 This board is the direct successor of the Asus Z68 board I have previously been recommending however we are still waiting for the PRO edition to be released which will have a marginal impact on the OC options available to you. That said I still think the upgrade is worthwhile, Intels changes are very broad and Asus have gone out of their way to include almost everything possible onto this board for you. It should last a good long time. Last month we were making the most of Nvidias price changes and this month its AMDs turn almost certainly with a view to setting the benchmark before Nvidia expand their 600 series range. There are some cracking deals out there on AMD cards however Ive simply gone with doubling up the 7850 I recommended in the entry level PC. 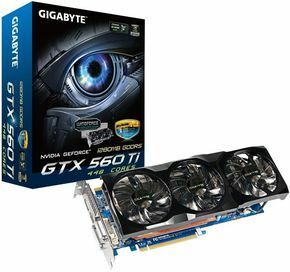 The price and performance of this card coupled with the size of the memory make this an exceptional deal. There are a few nuances to crossfire with AMDs latest however they arent unconquerable and are likely to be soon smoothed over with new driver releases. Consistently reviewed as the best IPS monitor in its class for both image replication and gaming response time. The picture quality is excellent, the panel and the stand are well designed the only real complaint is the 16:9 ratio rather than the preferable 16:10 but that really is nit-picking. The remake of the MX518 which is commonly regarded as one of the best gaming mice produced. The quality and the value of this mouse are second to none. Seeing as I have been saving money left, right and centre on the other components, I thought I would splash out on the keyboard a little and switch it to the one I personally use at home. 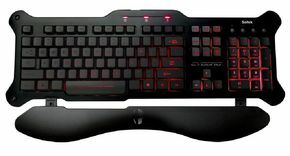 Yes its twice the price of both the X4 and the Cyborg previously recommended but the G110 is first and foremost a reliable, nice to use keyboard with a decent key action and then provides all the additional features you would expect on a gaming keyboard such as programmable keys, anti ghosting, powered USB and audio hub and various media and shortcut keys and switches. Most useful of all is the ability to disable the windows key with a switch which helps avoid nasty situations where you find yourself dumped out of a game by accident with your start menu open. Another big change. Regular readers of these recommendations may have noticed the absence of a sound card in this build which is largely to do with this change right here. 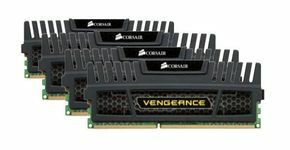 Corsair have launched their new Vengeance range and as has become typical of them, they are hitting a very high quality indeed. Its obvious that every element of the design has been carefully thought through from the quality of the sound, the microphone and the comfort and build quality. As this headset is connected via USB I have opted to remove the sound card and rather rely on the drivers included with the headset. If you are also planning on having speakers connected then I would add the soundcard back in. Although not a lot of change in the market I have actually made some fairly significant changes to this months system. Admittedly this has pushed the price up a little and I’ve had to sacrifice the sound card but being able to sport one of the latest and greatest graphics cards is worth it in my opinion. Slightly more expensive than the Coolermaster case I have been recommending of late however for the extra £1 you are getting rear and ceiling fans included, internal cable management, screwless design, a bottom mounted PSU as well as a USB3 compatible front socket. From a personal perspective, I think its a nice looking case to boot. Also available in white if you are a tart! A trusted brand, plenty of power headroom for most upgrades you might consider later, 80% efficiency which should give you a nice stable platform. 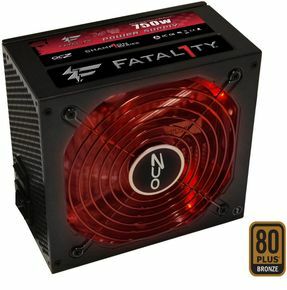 Spending less on a PSU is usually false economy especially in a machine you plan on using for games. Unless you are planning on overclocking there really is no point in spending money on the higher spec K series chips and on the whole for gaming its best to put the money into graphics power. This i5 sports intels turbo boost and has more than enough power for games. Given the specs released on the Ivybridge CPUs there isnt a great deal to get too excited about. Sandybridge will do you for a good while. One of the first big changes, I have switched from the older 6 series intel boards to one of their new 7 series boards which support native Ivybridge, USB3 and PCI-E3 support as well as the various enhancements that Intel have made to caching, SSD support and other benefits. The limitation of the board selected here is that it only has a single high speed PCI-E socket and therefore will be more suited to a single GPU setup. 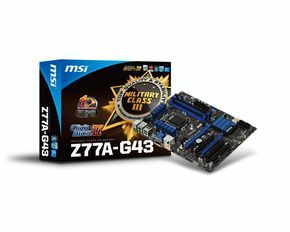 An extra £10 will get you a Z77 board with this support however I needed to save the money for my GPU upgrade. RAM is very cheap at the moment and prices seem to be holding although I woundnt count on that forever. Lifetime warranty and good service from Crucial when you need it. I would also say that we are now getting to the point that its worth having a minimum of 8GB RAM for gaming comfort. Since the release of the Nvidia 680GTX, AMD have been reviewing the prices of their current market cards which has seen price reductions across the board. 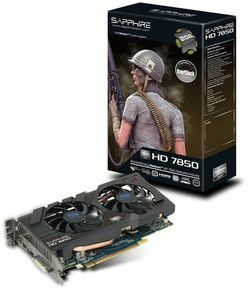 Its true the 6870 I normally recommend is now even cheaper, but this is an excellent price for a card that’s only a couple of months old! AMDs latest architecture and 2GB of memory put it clearly above the Nvidia 560Ti 448 core in my mind. Hard disks are still pretty expensive but prices are falling quickly from their peak. I have switched to the Seagate as this is a SATA III drive which will perform better than the budget drives I have been previously recommending although this has raised the price a little. 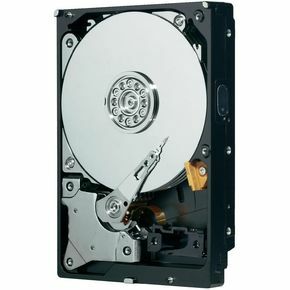 The prices still need to drop considerably to start looking at the drives you would typically want to use. 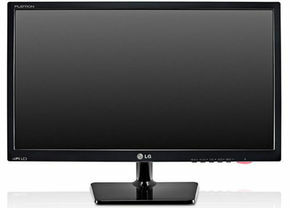 LG are leading the charge for low cost E-IPS screens and at this price and with the favourable reviews they are generally receiving its hard to argue in favour of the older TN panels any more. No change here however IPS options in this price bracket are becoming more and more common, with the AOC i2353Fh hot on LG’s tails, its worth shopping around. I have switched from the Microsoft X4 on the basis that as MS are closing the brand, its arguably better to buy something thats going to recieve ongoing support. Back lit, anti ghosting and macro keys make it hard to beat at the price which is more or less like for like with the X4. 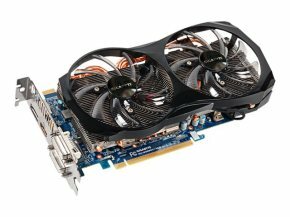 PC Gaming Hardware – What PC to Buy Guide (March) cont. As promised in the previous hardware update, Ive now updated the recommendations for the higher end overclockers system. Despite the changes from both Intel and Nvidia, there isnt quite as much change as you might expect. As always, rationale provided against each component. 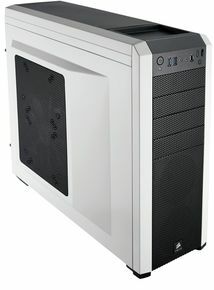 The Corsair Carbide I previously recommended has now gone up in price probably due to the favourable reviews it has been getting of late however this Fractal Design case is equally good, superbly designed with good features for best airflow, easy build and noise reduction and in my opinion is seriously sleek looking. Plenty of power headroom for upgrades and overclocking, 80% efficiency which should give you a nice stable platform, and a modular cabling system to manage airflow. 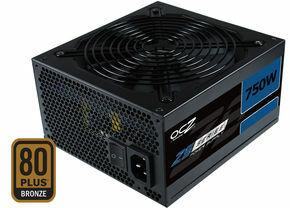 Its pricey but when you are playing with voltages, a PSU you can trust is critical. 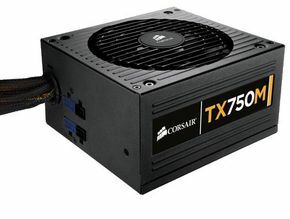 I have switched from the Corsair 750W purely on the basis of price. As before, I haven’t choosen the i7K due to the similarities in performance, if you are planning on doing lots of video encoding then get the i7 otherwise save your money, the i5 is rock solid. More interestingly, despite Ivybridge coming out in the next few months, the current highend Sandybridge chips arent losing out on much in comparison to whats in the pipline. You could invest now and not regret it later. 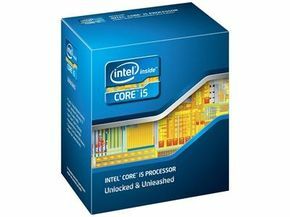 I spent an additional £6 this month putting in one of the new Sandybridge K CPUs just for the bleeding edge overclock. This Asus board sports all the features you would expect from a highend board as well as plenty of future proofing options. Support for both Crossfire and SLI as well as both PCI 2 and 3 which the latest nVidia and AMD graphics cards use, the Z68 chipset should see you for a while. The addition of bluetooth is a nice touch too. 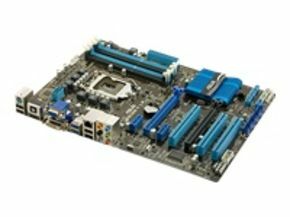 This board doesnt come with some of the overclocking functions that some of the ‘for gamers’ boards do at the higher end however it does come with the ASUS CPR suite to help protect on some of your more adventurous overclocks and the BIOS has more than enough features to get you going. RAM is very cheap at the moment but prices are creeping up. Lifetime warranty and good service from Corsair when you need it. Additionally on this set you have the benefit of decent heatspreaders to support overclocking and also quad channel support should you look to take this RAM with you into a future board that supports it (currently only the socket 2011 boards support quad channel). Due to the recent release of the latest nVidia 680 GTX some hunting around can find you some excellent deals on nVidia cards at the moment. 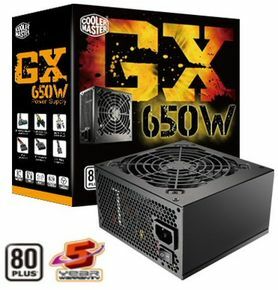 The cost of the 680 GTX really was a little inhibitive to recommend in a system like this and the offers being made available on the cards selected are difficult to ignore. That said it wont be long before nVidia start expanding the 600 range which could change that. Here and now of course the 560Ti 448 Core is probably just about the best card for overclocking that you can buy and at this price they really are a steal. SSD prices have been unaffected by the price hike on platter based harddisks and are currently going through quite a coup. 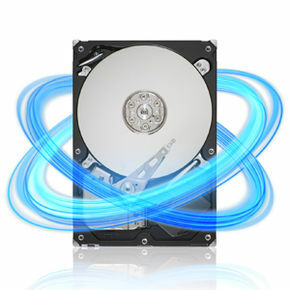 This Corsair disk is about as fast as you can buy and 120GB should be enough to get your system running nicely. 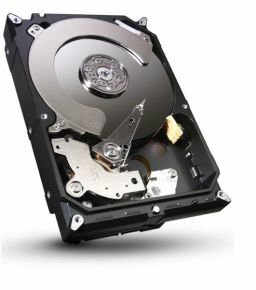 Given the high prices of platter based harddisks at the moment this isnt actually a terrible price. 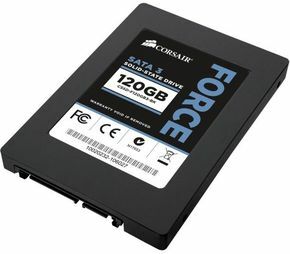 Decent cache and SATA III connectively should see it meet you storage needs happily, and the slightly lower spin speed and power consumption should keep the noise down. Firstly this is a top notch card which will deliver awesome sound, however it also has its own processing capability thus easing burden on your CPU which may help up your framerate. Was a tough choice between this and the previously recommended Asus Xonar however I went with Creative for the price. After forking out the cash for such a decent soundcard you want a set of cans that are going to make the most of it which rules out anything using USB. 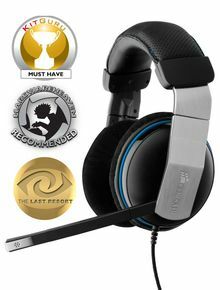 This headset has a true surround sound system connected by each channel direct into the soundcard and the experience is hard to beat. 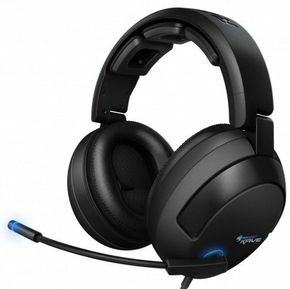 The mic attached is decent and convenient if there is only one complaint it is that these can be a little heavy and may be comparatively less comfortable than other headsets. Just a little more than a month has passed since I last made my recommendations however there has been quite a reasonable amount of change, firstly Intel’s confirmation that the current Sandybridge motherboards will be compatible with their soon to be released Ivybridge CPUs as well as Nivida launching their new 680 GTX which has reclaimed the the ‘top graphics card’ crown. What does this mean for our entry level system? Directly, not a great deal however it has had some impact on prices as well as give a view on future upgrade paths. Slightly more expensive than the Coolermaster case I have been recommending of late however for the extra £2 you are getting rear and ceiling fans included, internal cable management, screwless design, a bottom mounted PSU as well as a USB3 compatible front socket. From a personal perspective, I think its a nice looking case to boot. Also available in white if you are a tart! 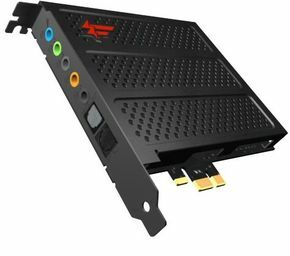 This is a decent low cost card that will fill all your gaming needs on a single monitor. Also cheap enough to consider chucking in a pair to run in crossfire in the future should the inclination take you. The XFX I previously recommended can be found cheaper than this however I upgraded to the PowerColour as in my experience they offer a better service generally than XFX and their aftermarket cooler is also better than the reference design. The icing on the cake is that this card is also boxed with a coupon for Dirt 3. All of this seems worth the few extra pounds. This card has no onboard processing so it wont boost framerate, however having a plug in card gives a much cleaner experience to sound by separating it from the electrical noise of the other onboard components and the headphone AMP will improve the sound output for unpowered headsets. 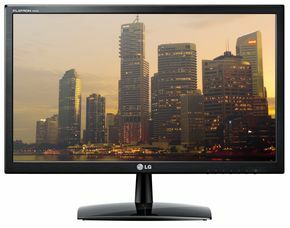 LG are leading the charge for low cost E-IPS screens and at this price and with the favourable reviews they are generally receiving its hard to argue in favour of the older TN panels any more. No change here however more options in this price bracket are becoming available, its worth shopping around. 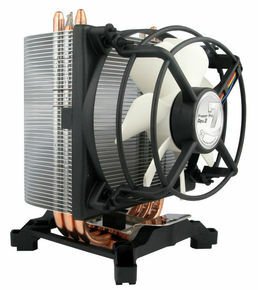 Ill be shortly following this article up with an update to the Overclocker’s system previously recommended. I was inspired by the articles Ive been reading in UK PC Gamer and PC Format on this subject and thought I would do one of my own as I seem to spend most of my time recommending to friends and family what to buy. To that end I have put together two systems to meet both ends of the market. Both systems are designed specifically with gaming in mind are are complete systems including all necessary peripherals such as screen, mouse, keyboard etc. The first system is targeted at entry to mid level gamers who are looking for ‘out of the box’ performance. A system that will play all the latest games, possibly offer them some easy upgrades in the future but will largely just do what they want at an affordable price. The second system is targeted at gamers who like to spend more time inside the case of their PC tweaking and upgrading to get the best possible performance. 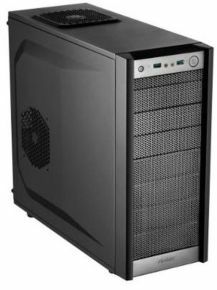 A decent build quality case that isnt too showy (if you arent into that sort of thing) but has the capability to be (if you are). Lots of features inside which make it both easy to build and nice to maintain. Plenty of power headroom for most upgrades you might consider later, 80% efficiency which should give you a nice stable platform. Spending less on a PSU is usually false economy especially in a machine you plan on using for games. Unless you are planning on overclocking there really is no point in spending money on the higher spec K series chips and on the whole for gaming its best to put the money into graphics power. This i5 sports intels turbo boost and has more than enough power for games. Excellent highend Sandybridge board with lots of upgrade potential (including support for Ivy Bridge this year) as well as support for mSata connectors to enable Mini SSDs to use Intels caching capabilities. RAM is very cheap at the moment but prices are creeping up. Lifetime warranty and good service from Crucial when you need it. I would also say that we are now getting to the point that its worth having a minimum of 8GB RAM for gaming comfort. 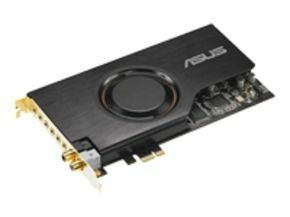 A decent low cost card that will fill all your gaming needs on a single monitor. Also cheap enough to consider chucking in a pair to run in crossfire in the future should the inclination take you. Hard disks are still pretty expensive but prices are falling quickly from their peak. I wouldnt be rushing out to buy them just yet though. LG are leading the charge for low cost E-IPS screens and at this price and with the favourable reviews they are generally receiving its hard to argue in favour of the older TN panels any more. Microsoft are closing down their gaming peripherals brand so these are going for bargain prices. Back lit, anti ghosting and macro keys make it hard to beat at the price. 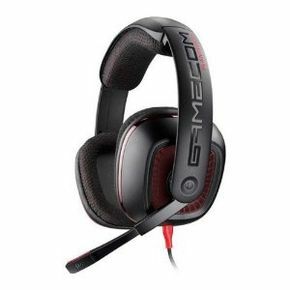 High quality sound, comfortable for long play sessions with a reasonable mic attached. All the convenience without the cost. It may not have the ‘moar lights’ mentality however there are few cases on the market that run cooler or quieter than the 500R and they are significantly more expensive. Couple this with the fact that the Carbide is a joy to build with and its perfect for the person who plans to spend a lot of time dipping in and out of their case. No I didnt choose the i7K. Why not? Performance-wise, particularly with overclocking the i5 and the i7 are similar, the only real benefit of the i7 is hyperthreading which actually can impact games for the worse rather than the better. If you are planning on doing lots of video encoding then get the i7 otherwise save your money, the i5 is rock solid. This Asus board sports all the features you would expect from a highend board as well as plenty of future proofing options. 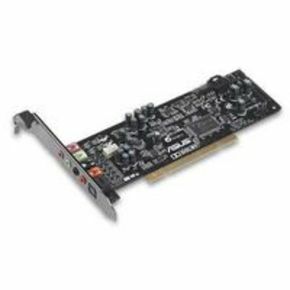 Support for both Crossfire and SLI as well as both PCI 2 and 3 makes it adaptable for graphics and the features offered by the Z68 chipset should see you for a while. The addition of bluetooth is a nice touch too. This board doesnt come with some of the overclocking functions that some of the ‘for gamers’ boards do at the higher end however it does come with the ASUS CPR suite to help protect on some of your more adventurous overclocks and the BIOS has more than enough features to get you going. RAM is very cheap at the moment but prices are creeping up. Lifetime warranty and good service from Corsair when you need it. Additionally on this set you have the benefit of decent heatspreaders to support overclocking and also quad channel support should you look to take this RAM with you into a future board that supports it (currently only the socket 2011 boards support quad channel but its a good guess for Ivybridge). 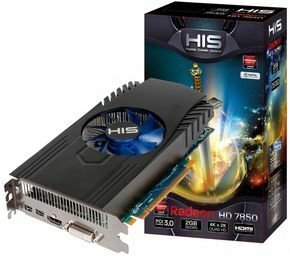 The 560Ti coupled with SLI technology arguably beats everything on the market currently and that argument can only really be held against the GTX590 or AMDs latest 7000 series offerings which two of these cards is significantly cheaper than. Gigabyte overclock this out of the box for you, but the decent cooling will let you take this further. The only real hindrance is the 1GB memory which will be mirrored in SLI not expanded. Truth be told, now is not the time to buy graphics cards, wait until Nvidia show their hand with their new Kepler cards which should be a matter of weeks. Firstly this is a top notch card which will deliver awesome sound, however it also has its own processing capability thus easing burden on your CPU which may help up your framerate. Was a tough choice between this and the Creative Titanium however I went with Asus as Creatives drivers are still truly awful.